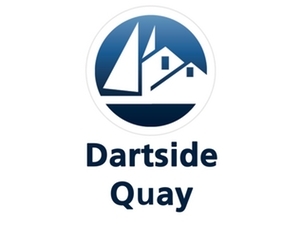 Tucked away at the head of Galmpton Creek, Dartside Quay lies some three miles up river from Dartmouth. In a sheltered position and with beautiful views across to Dittisham, it offers extensive facilities along with a chandlery. The 7 acre dry boat storage area has space for over 300 boats and is serviced by a 65 ton hoist, one of the largest in the area, which operates from a purpose-built dock. There is also a 16 ton trailer hoist operating on a slipway.